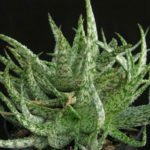 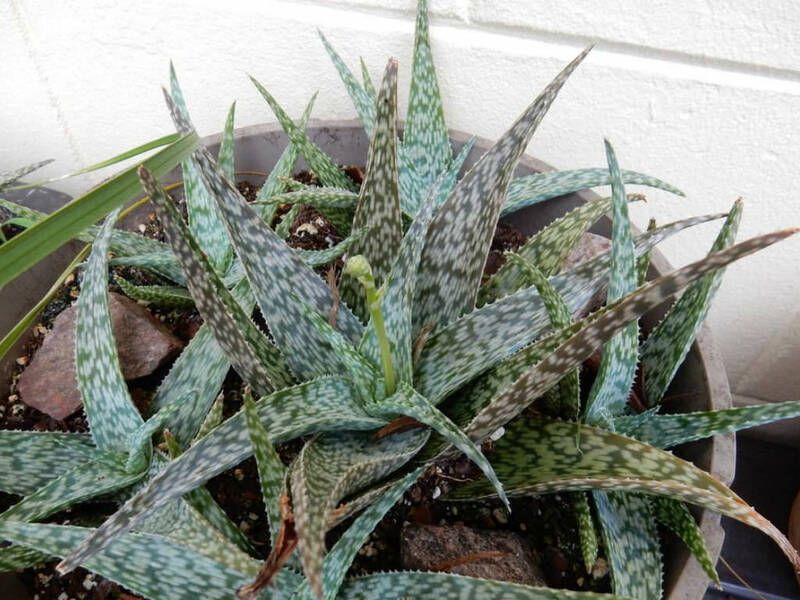 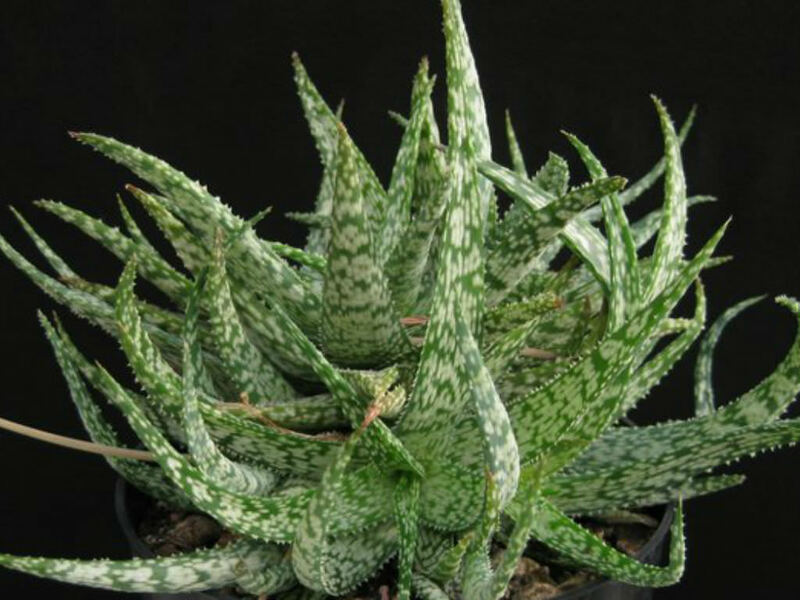 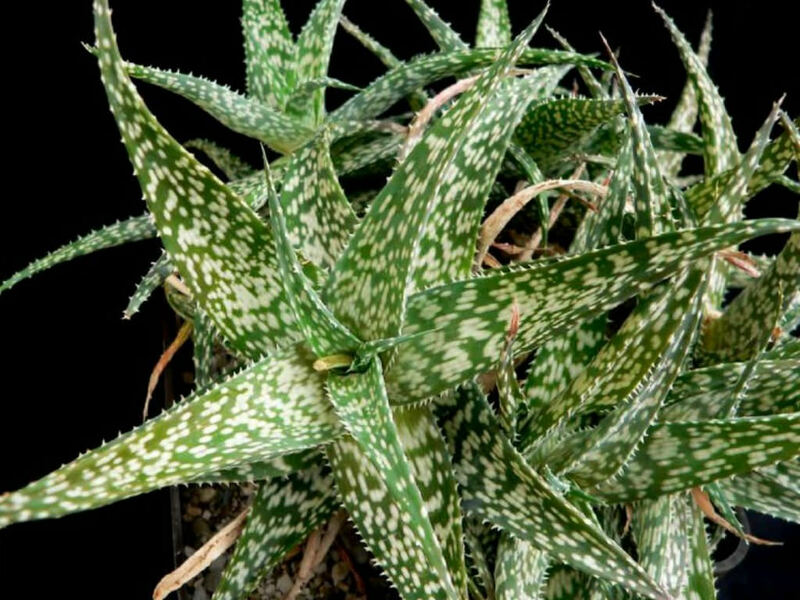 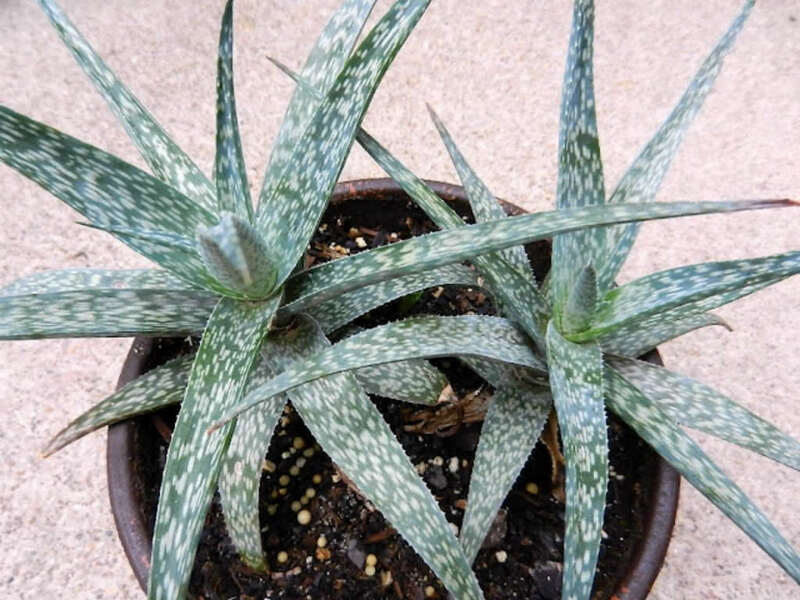 Aloe rauhii is a rare succulent up to 6 inches (15 cm) tall, with clumping rosettes up to 5 inches (12.5 cm) in diameter. 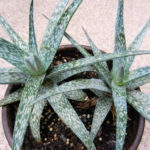 The leaves have characteristic heavily white, oval spots with tiny, white marginal teeth. 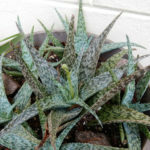 In full sun the leaves become a purplish orange in color. It produces cylindrical, terminal racemes up to 12 inches (30 cm) tall, of tubular, rose-scarlet flowers up to 1 inch (2.5 cm) long.